If you choose the pail and shovel party for your summer party you are in for a treat. It is easy to do and the kids love it. You can get started by letting your guests know where the summer party is with a homemade Shovel and Pail yard sign. Place a banner on the door or on the gate if the party is in the backyard. You can get personalized banner as well. Beach ball theme balloons are perfect for a Shovel and Pail Summer Party. Mix them with bright colored solid ones if you like and tie coordinating curly ribbons to them. Tie them to chairs, hang them from the ceiling, even bundle them in bunches and anchor them to a shovel and pail. If you want them to float, purchase an inexpensive helium machine. You will want lots of tables. Arrange one for the cake, one for the gifts, one for food and one for beverages. You can never have too many decorated tables. Place shovels and pail sets all around. Put them on tables, on the kitchen counter, you can even hang some from the ceiling (low enough they can be seen). Beach balls can be tossed around the room too. Not only are they great decorations, the children will love playing with them. Get the dirt on a homemade shovel and pail wall mural. Tack a ocean blue vinyl table cover to the wall. Glue real sand to the bottom two feet of the vinyl. Spray adhesive glue works best. Attach a picture of various beach items. You can just print these from the internet. Place an inflatable palm tree in the room or back yard if your summer party is outside. Use our homemade coconut instructions to make coconuts to place under the tree. This beach ball pinata will be a hit for every Shovel and Pail fan. Fill a small wading pool with sand and set some shovel and pails inside. It will serve as decoration and for playing games later at the summer party. If you are having an indoor summer party, you can spread a sheet out underneath. The most important thing of all is to have fun, buckets of fun. These beach sand cupcake toppers are a simple way to dress up Shovel and Pail cupcakes. Bake cupcakes using our basic yellow cake mix or your own favorite. Top with a crumb topping to look like sand. Insert a topper in each. These are great sugar shapes to use with a crumb topping or even with our basic frosting. Miniature shovel and pails can be made easily with fondant and placed on frosted cupcakes. Color them in whatever bright colors, or color combination, you wish. Mix ingredients with a fork and bake for about 10 minutes until crunchy in a preheated 350 degree oven. Mix ingredients together then spread out in a baking dish and bake for 10-15 minutes in a preheated 350 degree oven. Beach Pail & Shovel tables are easy because it is a simple summer party theme. First, you will need table cloth or you can use solid covers or even large beach towels. Use double sided sticky tape to anchor beach balls on the tables. Of course shovels and pails are perfect for the occasion. Fill the pails with sand and stick a shovel inside. You can tie on some bright colored balloons with color coordinating curly ribbons. On some tables you may just want balloons with a weight of buckets and sand. Another hot idea is to spread a layer of sand down the middle of the tables and scatter around sea shells and star fish. You can buy spray on sand that wont blow off. You can also paint the sand with spray on sand paint. There are lots of other fun things you can do with the paint set too like games and activities. You can also serve maccoroni and cheese that comes in the shape of shells. Serve in small plastic cups and use pipecleaners to make a handle on each. Just poke a hole in each side of the cup and thread the pipe cleaner through, then tie in a knot once the pipe cleaner is through to fasten it. Sand pail dessert holders are a must have. Just let the children eat out of a pail and if you are really brave let them use a small shovel. Gummy worms are a sure staple and any other candy bugs you can find. Serve on crushed graham cracker crumbs. Or try this, crush some graham crackers and place in a big sand pail. Stir in some gummy earthworms or juicy oozer bugs. On the sweet side, Mississippi mud is a great dessert. You can also make worm cookies using our basic sugar cookie recipe and rolling worm shapes before baking. Serve em up on a layer of brown sugar. Our sandy cookies are a great dessert too. Flowers are nice for the Shovel and Pail theme too. Shape our basic sugar cookies with a flower cookie cutter and ice in fun bright colors. Another idea is to fill small clear plastic cups with vanilla or chocolate pudding and then sprinkle crushed graham crackers on top as the sand. Then place an umbrella cocktail decoration on top. Then you can set a teddy graham or gummy bear under the umbrella. Sand candies are perfect for a Sand and Shovel summer party so make sure and order one for each child or why not two, one for at the summer party and one to go in the take home favor bag. Cream sugar and butter. Add eggs, one at a time, beating each time. Add vanilla. Sift together the flour and cocoa, add to batter and mix. Fold in coconut and pecans. Pour into a greased and floured 9"x13"x2" pan. Bake at 350 degrees for 40 minutes or until tests done. While hot, spread marshmallow creme over the top then pour on frosting. Mix in saucepan, butter, cocoa and milk; heat. Beat in powdered sugar and vanilla. Pour icing over marshmallow creme and swirl. Let your guests decorate a sand pail to take home. Provide solid color plain pails for everyone and lay out decorating supplies such as: Summer fun stickers, paint pens (available in glitters, puffs, metallics, glow in the darks, etc. ), foam shapes, and sea shells and other fun summery items that can be glued on. Let the children have at it with this sand paint. They will have a blast coloring the sand and making fun things like mud pies and sand castles. You can round up your own sand or purchase it. Place the sand in a sand box or large shallow container, lay out supplies like small cake pans, sifters and sand castle molds. Help the children color the sand and watch them create with it. Float some gummy worms in a shallow pool of water and let the children bob for worms. The boys especially will love the ooey- gooey challenge! You can make the game harder for older children by setting a timer and seeing how many worms each player can collect during the allotted time. Cover empty cans with brown construction paper and label it “BAIT”. Fill it half full with sand and let the kids put the worms in the can when it is their turn. It is a fun idea and makes it easy to keep count of the slimy treasures! Give each child a sand pail and put twenty multi-colored marbles in each pail. The children then begin to trade marbles, attempting to get as many of the same color as they can. They must keep their stash hid in the pail though as they trade and negotiate. Play a song off a Beachboys CD or set a timer and when time is up, the player with the most same colored marbles wins. This may sound silly but my boy loves getting marbles! Prior to the summer party, boil and color some eggs. Divide the party into two teams and have them form two lines. Give the first child in each line a spoon and an egg. The players then put the spoon in their mouths and the egg on the spoon. On the count of “three” each must make it to the sand pail and deliver the egg in his or her spoon. If the egg drops or is touched, that team has to start over, beginning with the child that was originally first. If the player makes it to the pail with the egg intact, he then runs back to the line and gives his spoon to the next child in line who is given an egg to get to the and pail following the same rules. The team that has the most eggs in their pail at the end of the race wins. Children of all ages love to make castles in the sand, so let them have at it. Divide the group into threes and give each group some supplies: a sand pail and shovel, some sand castle molds, some popsicle sticks, a handful of toothpicks, a few old kitchen items like plastic utensils, measuring cups and small bowls. Have the groups work together to make a sand creation and see whose is the best. You can judge them according to the biggest, best and most creative. Fill a basket or bucket full of things that have to do with playing in the sand like a shovel and pail, a gummy worm, plastic bugs, a sun hat, sunglasses, a toy dump truck, a mud pie pan, a sand sifter, plastic fish, etc. Cover the container with a beach towel and then uncover it so the children can observe what is inside. Give them 3 minutes and cover it back up. The children must write down as many of the items as they can remember. The player with the most correct answers wins. Divide the group into two teams. It’s always fun to let them think of a team name and interesting to see what they come up with. Have each form a line at the designated starting point. Provide each team with a large bucket full of sand. Set one large containers at the finish line for each team. The object is for each player to race to the finish line container to deliver as much sand as they can hold in their hands. The team who finishes first wins but only if they have the most sand in the finish line bucket. If the other team has more sand, the game starts over until the team that finishes fastest has the most sand. Purchase two sets of alphabet sand molds. They are inexpensive and loads of fun, educational as well.Divide the group into two teams and give them each a set of molds and an area of slightly damp sand. Have them work together to mold as many words as they can think of in the allotted time. Five to ten minutes is usually great. Each team gets five points for every word that is spelled correctly and two points for every letter in it. Add a colorful touch to the game by coloring the sand with this sand coloring kit. This game is loads of fun and is a safer variation to the old game “King of the Hill”. Make a mound of sand or dirt and choose one child to be “it”. “It” stands on the mound and is king. Arm the king with a water balloon and let the other children try to pop it. If a player succeeds, he or she is then the king and gets a water balloon to defend the kingdom with. Hide sand toys in a sandbox and let the children scramble to find them. Give them sand pails to put the items in and see who can find the most. Dogs love to bury bones in the sand so why not make a game of it? Have one child sit in a chair with his or her back turned to the rest of the children. The child in the chair is the dog. Hide a dog bone under the chair. Now pick one of the children to go up and quietly steal the bone. f he or she doesn’t guess correctly, he or she is the dog for another round. Scatter toys around in the sandbox and pick a child to be “it”. That child picks and object in the sand and whispers what it is to you. Then he tries to help the others guess what the object is by saying, “I spy something blue…” or red, or whatever color the object is. He can then give more details such as “I spy something soft”. A blue soft object might be a plastic fish in the sandbox but it might be the blue ball too. The children keep guessing until someone gets it correctly and then they get to be “it”. Balance a large bowl on a two liter soda bottle and let the children take turns adding a shovel of sand to the bowl. If the bowl tips over on a player’s turn, he or she is out. Play until there is only one person left who is the winner. Everyone who tries is always a winner though. The guests will love digging in to these fun party favors. First you will need to decide what container you are going to put the favors in as that will determine how many and what size gifts you will include. Bright colored sand pails are great and can even be personalized by painting each guests name on a pail using paint pens. Whether you use a sack, bag, box or pail, you will want to fill it to the brim with summery fun favors like sand sifter toys, sunglasses, fun sun hats, toy dump trucks for the boys and mud pie pans for the girls, bubbles, inflatable beach balls, and of course, a shovel or two. Sand art kits are fun to add. You might even consider passing out the favors before or during the party so the children can do the crafts together. 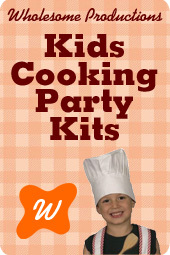 or we found a kit to make your own which can be done before or during the party. Other great treats are: bubbles, coloring books and crayons, books, play dough, clay, sidewalk chalk, silly putty, and silly string. Pre-packaged party favors sets are definitely convenient and often save money as well. Most come with a box, bag or container for the treats. Or, you may consider a simple sand toy set and just dress it up with some curly ribbons. The largest selection in one store of Pail and Shovel summer party items is at Birthday in a Box. They offer you package deals, which are cheaper than buying individually. For orders over $50 you get 10% off and free shipping at this store. ShindigZ had tons of products and lots of summer party favors. The buckets and pail are normally under $1. We hope you have a great summer party and let us know how it goes!